I love teaching guided reading. I really do. I hate planning guided reading. I'm not super about it either. So, that's why I like starting guided reading the exact same way every time. Having the same thing planned every time means that the first 3-4 minutes of guided reading is boom.done.dontthinkaboutit. Every time we begin guided reading... And it doesn't even matter which group I'm calling... We play "Pop The Balloon!". 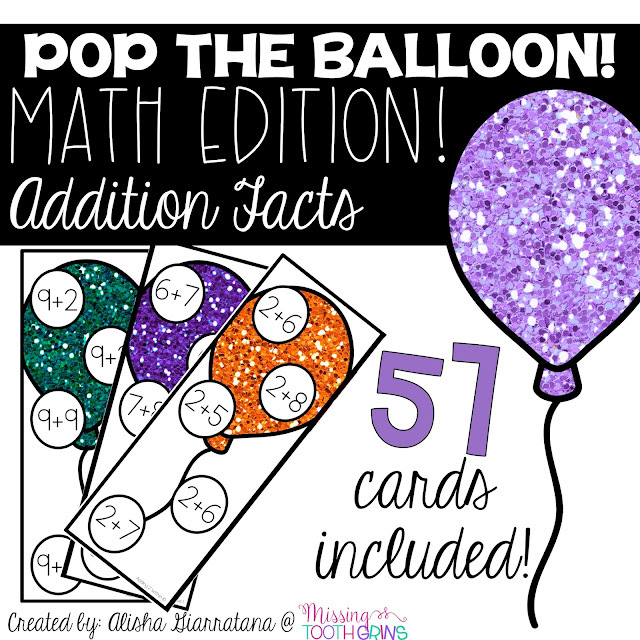 "Pop The Balloon" is a quick game in which each student in you group has a balloon card. 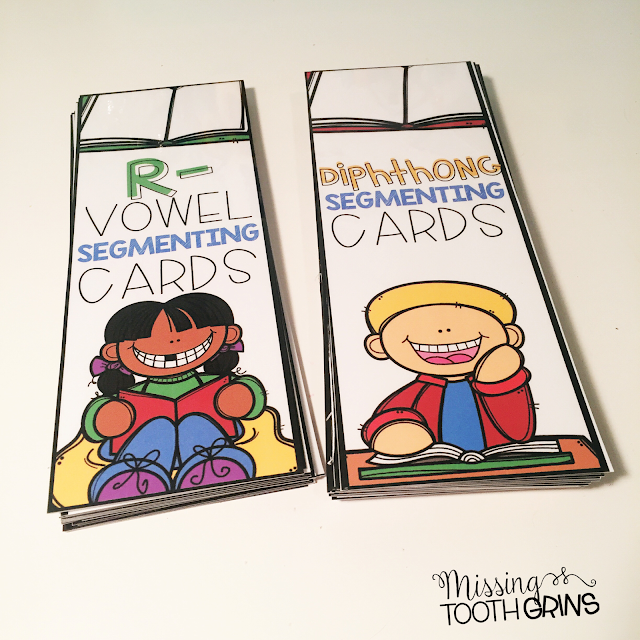 He/she begins at the bottom and reads each sound or word correctly. If he/she makes a mistake or needs help, he/she has to go back to the bottom and start over. Whenever they reach the top, they pop the balloon! My kids like to clap and go "POP" at the same time when they reach the top. 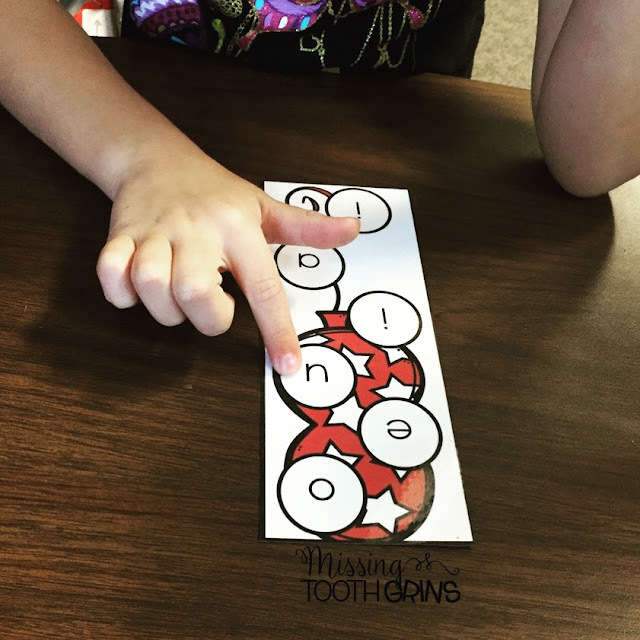 This "game" is a game for a child to do independently. It's not a game they play with the group, although the entire group is doing it. 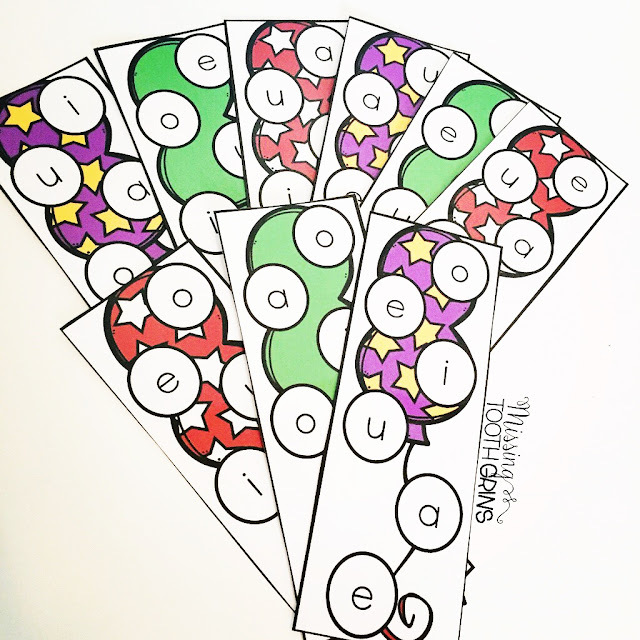 During this time, I listen to each child read his/her card around the table. Sometimes, I give them a new card. Sometimes, I don't. 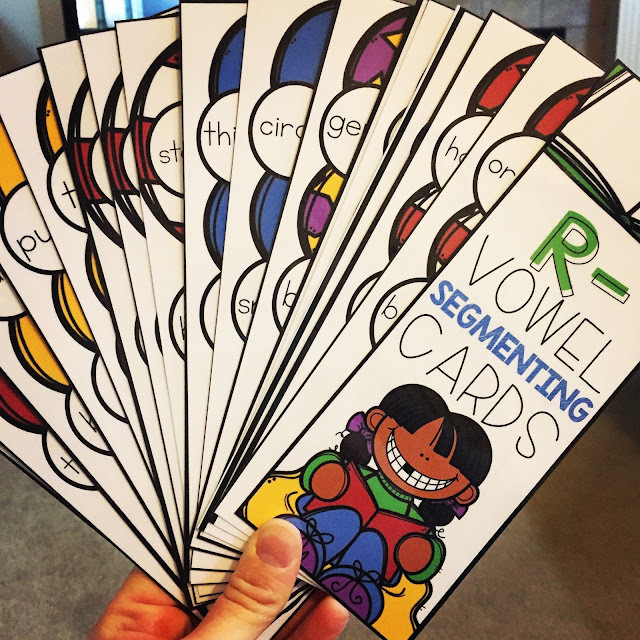 There are 8 packs total for this fun little game, which makes it easy for me to differentiate between groups. I know exactly which skill to pull for the group, depending on their needs. Plus, since this is something we do everyday, no need to explain rules or expectations. Win win! 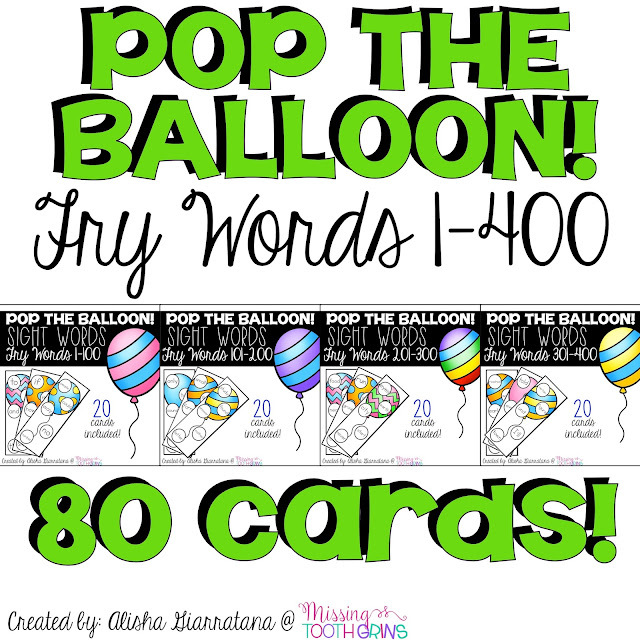 You can find the "Pop The Balloon" cards by clicking any of the photos below! I love starting guided reading this way! 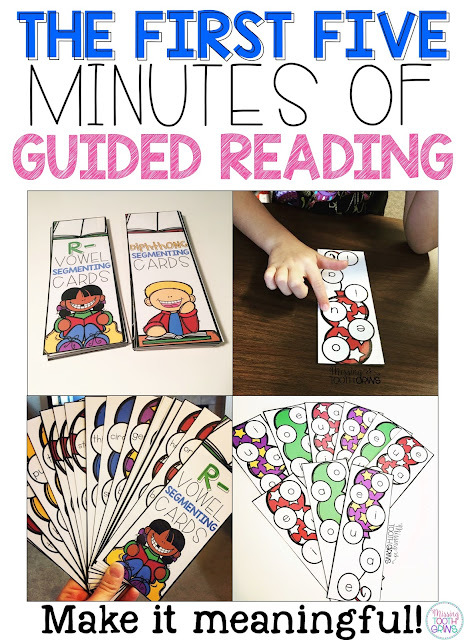 How do you start guided reading? UPDATE: Since this post, I've created Pop The Balloon! 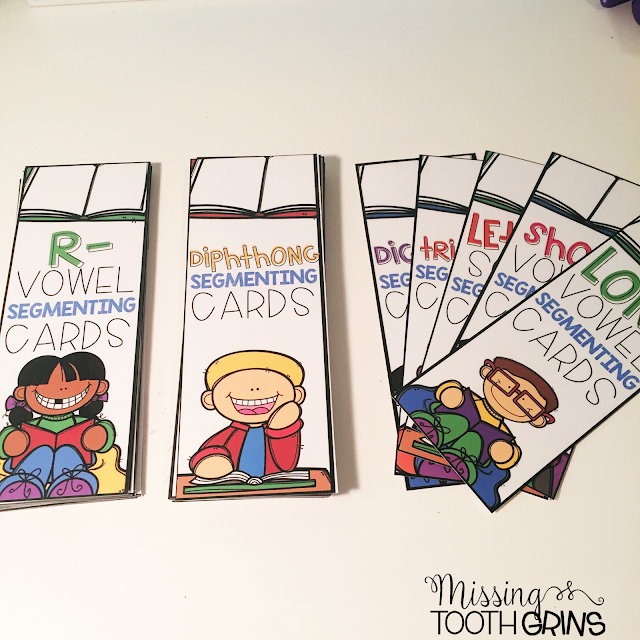 cards for sight words and addition facts. You can find them by clicking the pictures below!